I was sorting and gathering through a few (think boxes and boxes) of vintage and whatnot in my now empty dining room. Over the past few years, I've collected so many pretty aprons and linens, it's not funny. 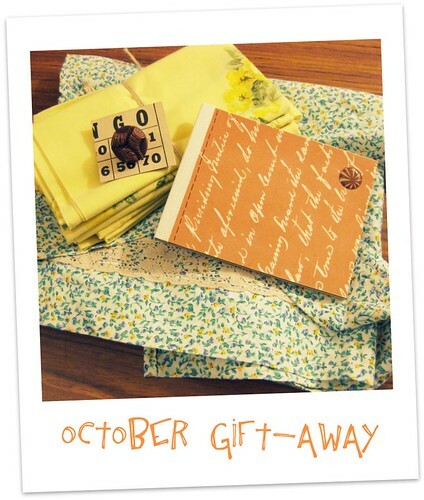 It struck me, it's probably time to pull together a Lune Fall Gift-Away! Leave in the comments of this post, something you love to DO in fall time. It can be a day trip somewhere, making something, cooking a fav recipe, or anything that you look forward to doing especially at fall time. Draw Date: Canadian Thanksgiving Day (this Sunday)! Cluck Cluck!